BOULDER, Colorado — April 1, 2019 — Today, April 1, 2019, the Brewers Association (BA), the not-for-profit trade group dedicated to promoting and protecting America’s small and independent craft brewers, released an amendment to its Beer Style Guidelines for 2019 creating a new category for 2018’s trendy “it” beer, Glitter Beer. Reviewed and revised annually by the BA, the BA’s Beer Style Guidelines serve as a model resource for brewers, beer judges and competition organizers, and celebrate the great diversity of beer around the world. The emergency change comes outside of the typical timeline for style guide revisions due to the realization of neglect to recognize the trendy beer style. Future BA beer competitions, including the Great American Beer Festival and World Beer Cup, will accept and award gold, silver and bronze medals for Glitter Beer. 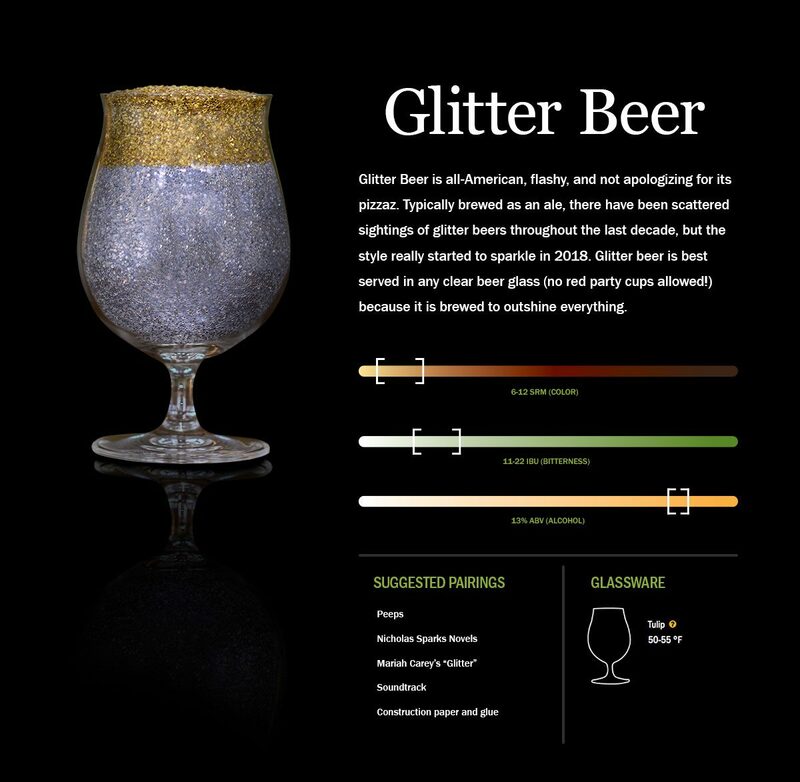 The post BA Names Glitter Beer ‘Official’ Competition Beer Style appeared first on CraftBeer.com.